Guy Friday: The Loser List: Revenge of the Loser. Kowitt, Holly. 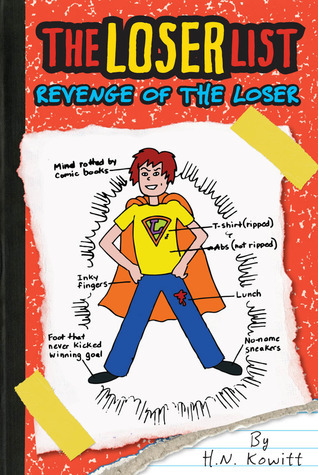 The Loser List: Revenge of the Loser. Danny is back, having survived The Loser List, and this year, he thinks it will be different. He and Jasper have managed to get seats at a table with three girls who are not completely dorky, so it's only a matter of time before everyone realizes what an awesome artist Danny is, and Asia notices him. However, new kid Ty, with his cool hair and earthy/crunchy environmental dogooderism wows all the girls. (His floppy hair and geek chic glasses don't hurt.) No matter what Danny decides to do (do a fund raiser to take the class to a water park), Ty can do better (have a fund raiser to help disadvantaged children). One thing that Ty can't do is rap-- but he thinks he can. Danny decides to embarass Ty by encouraging Ty to participate in a talent show, which Danny goes to great lengths to stage. Ty helps even with this, getting a cool stunt cyclist Skye Blue to agree to come to the fund raiser. Even though Danny wants to get Ty away from Asia, he starts to realize that Ty is pretty cool. Can he get out of embarassing him? Strengths: This is a notebook novel. I have some students who want to read nothing else. I like this series much more than Wimpy Kid, and the art is almost as good as Big Nate. Weaknesses: Unlikely school situations and deus ex machina ending make me not as fond of the title, but I have to remind myself that students seem to like these situations. Almost fantasy. Am I the only one who is slightly irritated that Jeff Kinney made $25 million last year? Couldn't we spread that around a little and give, say, a million each to Jordan Sonnenblick and other worthy authors? 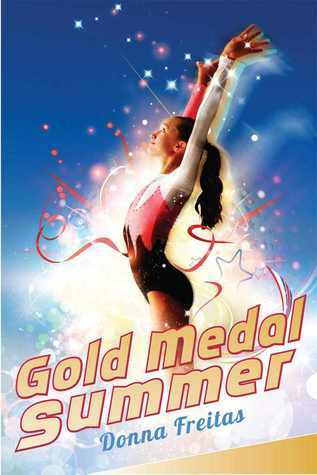 Does Gordon Korman make that kind of money? I'm guessing not. Makes me sad. Monaghan, Annabel. 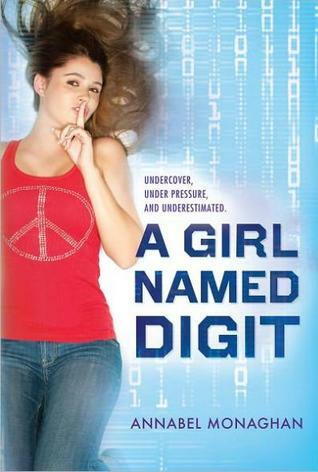 A Girl Named Digit. Farrah (aka "Digit") is a math whiz at almost 18. This makes a fair amount of sense; her math professor father has encouraged her abilities, while her actress mother is more concerned about what she is wearing. When Digit uncovers a code scrolling across the screen during one of her favorite programs, and later connects this code with a bombing of a luxury plane at the JFK airport, she and her father go to the authorities... who think they are nuts. Digit tracks down the man she thinks might be responsible and connected to the Jonas Furnis ecoterrorism group, and almost gets killed. The FBI steps in and stages her kidnapping in order to keep her safe. She is put under the care of John, an agent on his first assignment who is not much older than she is. The two go through transcripts and think they have a clue, so jet off to New York, where they find out they are in danger from a double agent. Using their combined linguistic and math abilities, the two figure out how to best take down this agent, as well as the ecoterrorists. Digit is pleased that she has finally found romance, but will a successful mission mean that she will lose John? Strengths: The perfect book for fans of Ally Carter's I'd Tell You I Love You, But Then I'd Have to Kill You series. There's spying, travel, the posh life, and a hot FBI agent who is not quite 4 months older than Digit. The romance is chaste and circumspect, but fun. This may be a series, and I'm glad! There's a lot of math and clues, which I normally don't like, but I really enjoyed this whole book. I think that all 720 students in my building either have read The Hunger Games or are on the wait list to read it. I really thought I had posted this list before, but since I can never find it, I'll post it again. Hard to believe I'm missing anything, but I'm sure I am! Christopher, John. When the Tripods Came. Farmer, Nancy. The Ear, the Eye and the Arm. Paterson, Katherine. The Green Book. Teague, Mark. The Doom Machine. Zevin, Gabrielle. All These Things I’ve Done.